Published 2014/01/29 at 1920 × 1440 in Contributions. 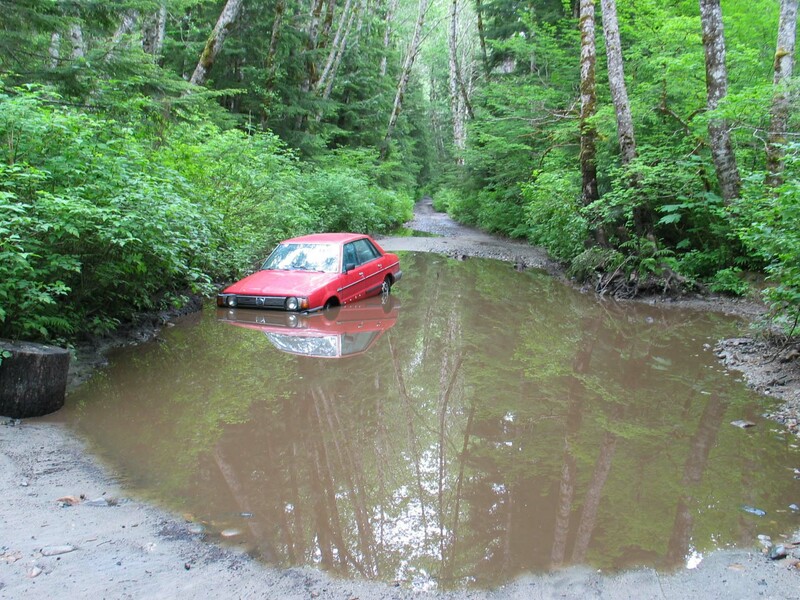 2005: Car stranded in a huge puddle at the “mud flats”, 2 miles beyond the Dingford trailhead. This was two years before the gate was installed.